Masjid Tonson or Tonson Mosque (also spelled Ton Son), มัสยิดต้นสน, is an old mosque founded in the Ayutthaya period in 1688 (B.E. 2231), during the reign of King Narai the Great, by Chao Phraya Ratchawangsenseni (Mahumd). 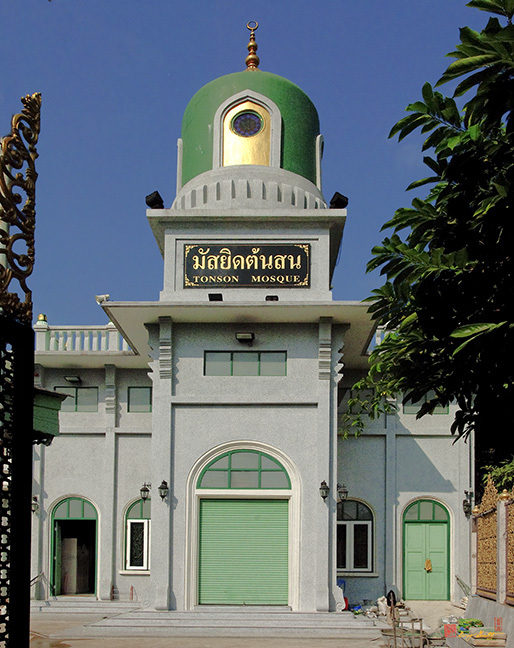 The first name of the mosque was Kudai Yai, an abbreviation of Kudi Bangkok Yai. It was originally a teak house raised on a platform and roofed with terracotta tiles. The architecture was similar to that of a hall in a Buddhist monastery. 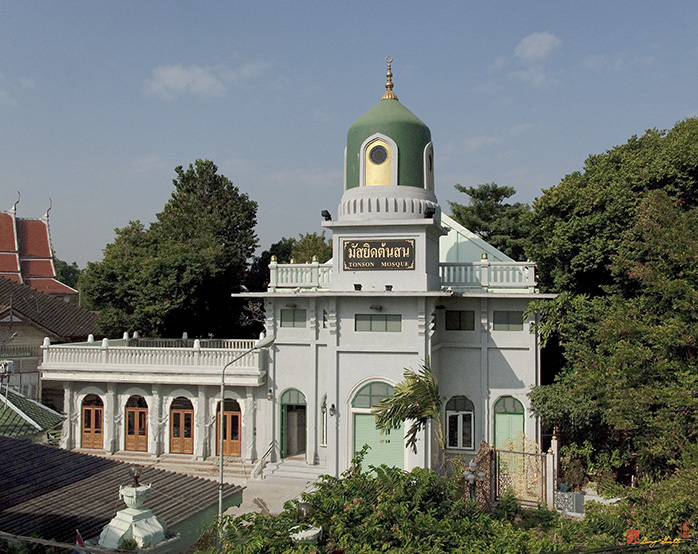 During the reign of King Rama II, devout Muslims in the Bangkok Yai area renovated the mosque and changed the old structure to a brick building. In 1952 (B.E. 2495), the new building was transformed into a reinforced concrete building since the existing structure was too old to be rebuilt. 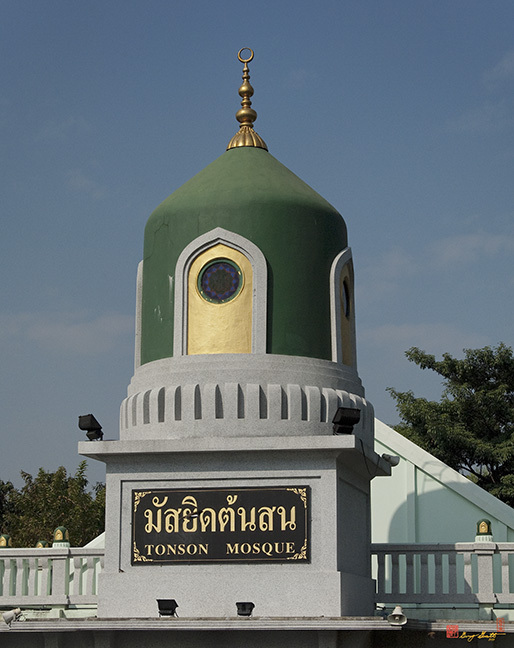 The twin pine tree (Ton Son) was planted in front of the gate of the mosque's wall and the name was changed to Ton Son Mosque. Inside the mosque is the beautiful pulpit, called Mimbun, which has large pictures of Arabic calligraphy, a picture of the Kaaba and the plan of the mosque in Mecca, all using forms found in the period of King Taksin the Great.